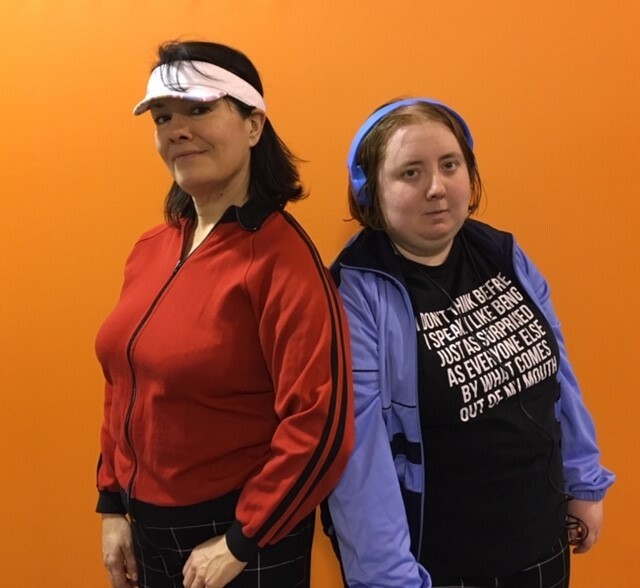 Emma & Gill is a new co-production between Catherine Wheels and Lung Ha Theatre Company that questions what is “normal” and why being different is to be celebrated. The show features Emma McCaffrey who has performed with Lung Ha Theatre Company since 2013 and was diagnosed with autism when she was 11, and Gill Robertson, the artistic director of Catherine Wheels. Being held by my Aunt and being given milk after crawling around her house. I was not well but didn't want to stay in my cot. I could not yet walk. Being overwhelmed to tears on my first day to the point my mum stayed in school in the morning until I was calm. Something to do with performance. I wasn't sure if I wanted to be a musician, singer and actor. On stage when the audience is enjoying my performance. My Dad dying in 2018. He had cancer. He was 58. Study in a creative way. In Japan or in a house. "Senbonzakura" (https://www.youtube.com/watch?v=vBaGqphYbE8). If I had other options - Mozart's Queen Aria sung by Diana Damrau, What I did for love from A Chorus Line, One Day More from Les Miserables, or Karl Jenkins' Palladio. Dismissive and judgement of others that are different to them. My P6-7 teacher Mrs Clark who went out of her way to make me comfortable in school. They give someone like me a different platform to perform and experience as an actor. And hopefully something for others to learn. Emma & Gill is touring to mainstream and special schools in Edinburgh and the Lothians, 18 February – 10 March 2019. To book your school please email Anna Derricourt on anna@catherinewheels.co.uk / 0131 653 5255.